John Graz, director of the Adventist world church’s Public Affairs and Religious Liberty department, visited with state and city leaders last week to finalize preparations for the World Festival of Religious Freedom, scheduled for May 25 in São Paulo. “São Paulo is the most suitable place to welcome people who bring this message of tolerance and religious freedom as a value important to modern society,” she said. While Graz and local Adventist Church leaders complimented Brazil on its religious freedom, they also urged Brazil to do more. In a speech to church leaders in Brasilia the previous week, Graz called on national leaders to speak out more on issues of religious freedom in international forums, such as the United Nations. The rise of Brazil politically and economically would give the country more influence in such forums Graz said. “Today, at least 70 percent of the world’s population lives in countries with serious religious restrictions,” Graz told attendees at the Brasilia Higher Education Institution auditorium. He also highlighted the Adventist Church’s attempts to support two members imprisoned on unfounded charges in the West African nation of Togo. South America has had a large rate of participation in awareness campaigns for the two men. Graz said Brazil could be even more “politically engaged” on behalf of religious freedom. Still, Brazil has enacted strong measures supporting religious freedom in the diverse nation. 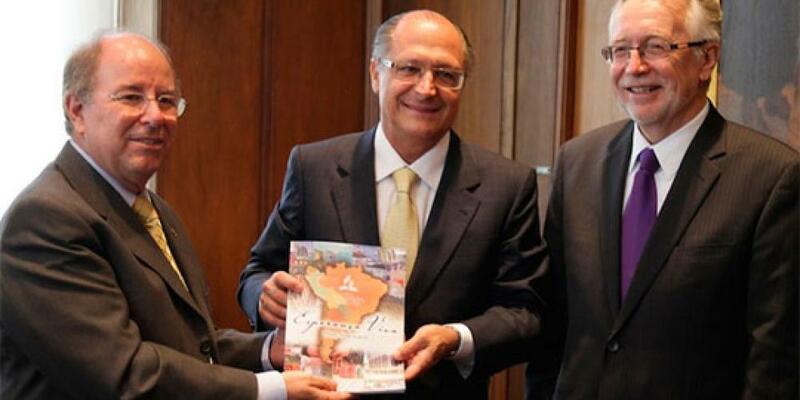 Luigi Braga, general counsel for the Adventist Church’s South American Division, praised existing legal measures, including a dedicated telephone line that allow people to report abuses of religious freedom and other human rights offenses. Next year’s religious freedom festival is the second such “world” festival. A similar one was held in Peru in 2009. The event’s coordinator, Edson Rosa, Public Affairs and Religious Liberty director for the South American Division, said such events help raise awareness about the importance of tolerance for different ways of worship. The large-scale celebrations also offer thanks to countries that protect religious liberty, he said.